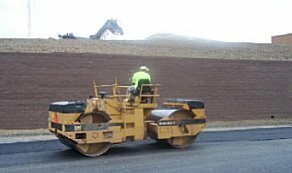 Charles Construction Company Inc. is a site development contractor with an asphalt production and paving division located in Jersey Shore, PA ( North Central Pennsylvania). Charles Construction Company started as an underground utility contractor in 1971. In 1973 the company branched into all phases of residential site work, from foundation excavation, grading sewer, water and underground utility installation. The next progression was doing site work for residential and commercial developments excluding paving. Asphalt paving was added to its line of services in 1978. In 1995 the company purchased an asphalt plant to serve its needs and those of other contractors. Today Charles Construction Company Inc. offers a full range of construction services for site work and asphalt paving requirements. For more information regarding out company or any of our services, please email us, contact us using the form, or call us directly at 570-753-3595.